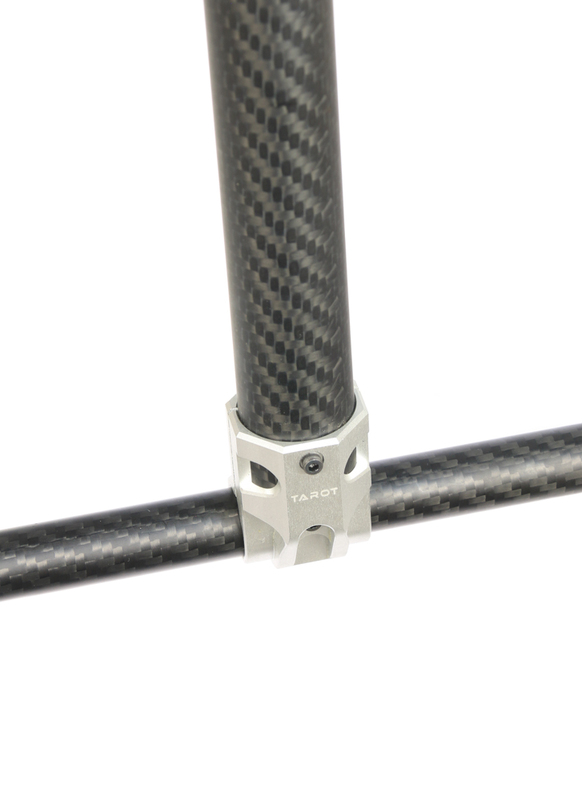 Pair of Tarot 25mm to 16mm T joint carbon tube adapters. The adapter could be useful for a custom build or to upgrade the plastic T piece adapters (example shown in picture gallery) which come as standard with a lot of 25mm landing gears. The adapter is CNC machined out of lightweight aluminium.